عندما تزور بورت دوجلاس, ستشعر أنك في بيتك في Dreamcatcher Apartments الذي يقدم لك إقامة متميزة و خدمات عظيمة. يمكن من هنا للضيوف الاستمتاع بسهولة الوصول إلى كل ما تقدمه هذه المدينة النابضة بالحياة. بالنسبة لمن يريد الخروج، هذه بعض المعالم السياحية المتوفرة للزوار ‪Bally Hooley‬, رينفورست هابيتات, Cloud Nine Guitars - Custom Hand Crafted Acoustic Guitars. استمتع بالخدمات الراقية والضيافة التي لا مثيل لها بهذا الفندق في بورت دوجلاس. يقدم الفندق واي فاي مجاني في جميع الغرف, مرافق مخصصة لذوي الاحتياجات الخاصة, تخزين الأمتعة, واي فاي في المناطق العامة, صف السيارات لضمان الراحة القصوى لضيوفه. يمكن للنزلاء الاختيار من ضمن مجموعة من الغرف المصممة بعناية لتعكس جواً من الراحة، والتي يتجاوز عددها 12. يقدم الفندق مجموعة رائعة من الخدمات كمثل حوض استحمام ساخن, شاطئ خاص, مسار جولف - ضمن 3 كم, حمام سباحة خارجي, غوص، لجعل إقامتك تجربة لا تنسى. يحظى فندق Dreamcatcher Apartments بموقع ممتاز وخدمات يصعب منافستها. Really nice and relaxed place, out of the center of Port Douglas at the south end of the beach. I had a big apartment with separate bedroom, which was a bit of a bargain. The units are a bit out of the town centre Tavern & Restaurant close buy the unit is starting to look abit tide could do with a revamp. 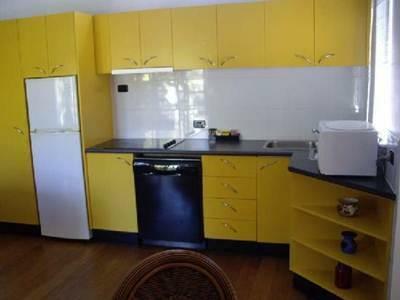 Big, comfortable apartment; pub across the road and a fab pizza place around the corner. Beach up the end of the street. Away from the mega touristy part of Port Douglas, which to us is advantageous, so a car makes this easy. My girlfriend and I stayed at Dreamcatcher apartments for a week in August. 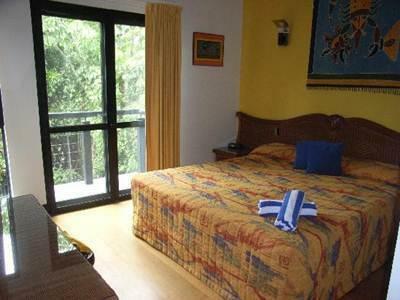 A great location outside of the busy area and literally 100m from the beach (safe to swim in Winter). John leaves towels out each day for guests to take to beach or pool. These apartments are very quiet and we hardly saw any other visitors. The rooms are fully equipped and John was happy to get us more wine glasses and anything else we needed. The pool area is also great and we relaxed there some nights with a drink and nibbles. There is also a querky pub across the road and a great restaurant (Beach Shack) just around the corner. Shuttle buses will pick you up anytime to take you into town which is the mode of transport in Pt Douglas ($5 ph each way). The only suggestion would be for John to update the visitors handbook as the menus are all out of date. Would definitely go back. This place was such a nice place. 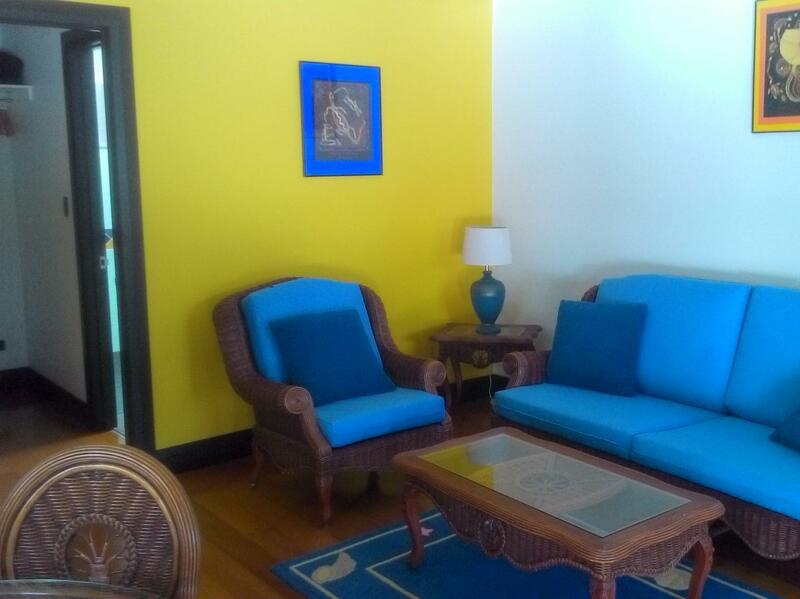 Very roomy, so close to the beach as well as the Beach Shack restaurant, and a nice owner. The only small drawback, since I have a 9 year old who loves to go online, is the very lacklustre and sporadic wi-fi. Handy to the beach(100m). A good work to the AGA supermarket. A pub across the road. Dreamcatcher's charm is that its away from the bustle and noise of Port D but easily accessible to it via the numerous local bus shuttles that drive by every 15mins or so. The unit was comfortable and the pool area a lovely spot to cool off and enjoy some private sunshine. There are a couple of good eateries within walking distance, great coffee at the cafe a block or so down the road, but the unit itself was adequately stocked with cooking gear to keep us going for a week. The only things missing that would be a useful addition was a microwave and ice cube tray. John was a friendly but unintrusive host with helpful tips. Very comfortable stay. Wavelength was our pick for the outer reef experience, I wouldn't go with any other operator. 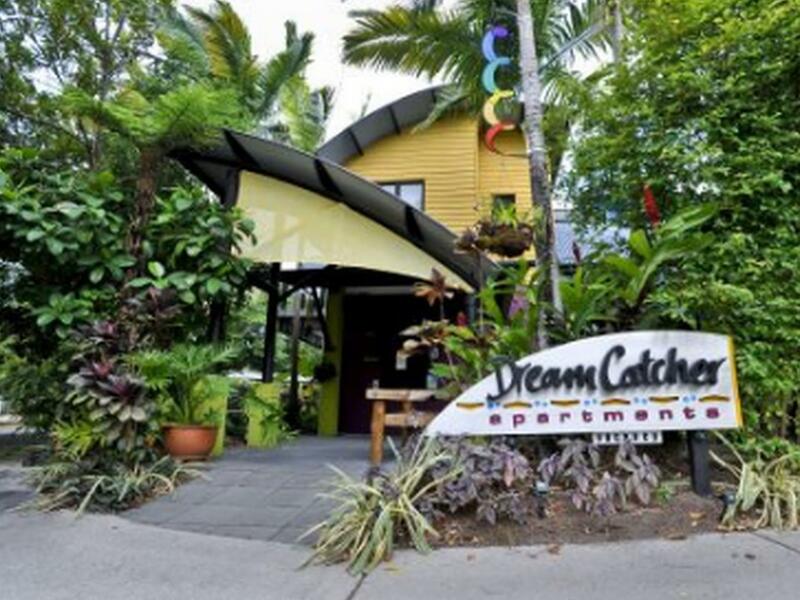 Thoroughly enjoyed my stay at Dreamcatcher, Port Douglas is an excellent place to stay. Thank you, we look forward to your next visit. The place is very tired, some curtains are hanging down, they supply Coffee Pods but NO machine, was told previous guests stole it and would replace following day never saw a staff member again, never saw the pool being cleaned, sun lounger covers covered on mould , some with green Moss on them, Body fats on doors under handles, needs a good make over, Location GREAT right on the beac. I wasn't able to refund you when you realized you were a bit further from the town center than you wanted to be. My other guests didn't agree with your opinion. Our lovely beach-side location is clearly marked prior to your reservation being made. Our staff are working during the day, when guests are out on tours and also have a home to go to in the evening when you return from your day out. Apologies that we didn't pretend to work in front of you for your eyes satisfaction. Because it is isolated few eatery choices. I would stay there again. LOVE Port Douglas. Had a great stay here, apartments were very nice and the pool was great. The host was very friendly and accommodating. Would highly recommend it! Lucky me. I kindly received an upgrade was busy at conference so was out of room most days. Pure bliss swimming in pool for end of day dip.....tranquil relaxing place. Bei der Buchung sah alles toll aus, wäre es auch gewesen, wenn es nicht alles so schmutzig gewesen wäre. Als wir ankamen, sagte man uns, dass man das Apartment noch reinigen müsse, wir sollten in 5 Stunden wieder kommen. Es war aber nichts gereinigt, lediglich das Bett war überzogen. Das Geschirr und Besteck in der Küche war so, dass wir lieber von unserem eigenen Plastikgeschirr gegessen haben. An den Küchenschränken klebte der Dreck von unserem Vorbewohner und war an den Türen heruntergelaufen. Aus dem Kühlschrank lief das Wasser und er war auch nicht gereinigt, so dass wir unsere Lebensmittel lieber in unserer Kühltasche gelassen haben. Die Handtücher und die Bettwäsche waren sauber, im Bad klebte jedoch an den Schränken noch die Zahnpasta und anderer Dreck, ich möchte es gar nicht wissen was es war, von unserem Vorgänger. Wir haben ein Deluxe Apartment gebucht, bei der Ankunft meinte man, man hätte uns abgegreatet, wir haben jedoch ein Apartment über den Garagen und der Wäscherei zum Hinterhof erhalten. Für den Preis den wir bezahlt haben, war es viel zu teuer, dafür hätten wir auch Deluxe erwartet, aber nur ein ehemals schönes, aber absolut unsauberes Apartment erhalten - schade. Zum Glück waren wir nur 2 Tage dort. Anderswo, im gleichen Ort haben wir wesentlich besser für erheblich weniger Geld gewohnt. Meine anderen Gäste waren mit Ihrer Meinung nicht einverstanden.